…simply because we allow our differences to overpower our commonalities. As both groups and individuals we spent a ridiculous amount of time investigating and calculating the differences between who/what we are and who/what we are not. From the moment we are born, traditionally, we are dressed in colors that represent our assigned gender. Those wearing anything different must then be who/what we are not. From that moment on, we are being taught to differentiate people by the category of gender. What happens when we grow up to realize that we are all, actually, just human? A definite challenge that will continue to trouble our society and many more societies to come. Religion, is a complex term that encompasses multiple definitions, it all depends on perspective. It can simply be a devotion or, as described by Kile Jones (a Ph.D student at the University of Glasgow (i found his quote while doing some research on the meaning of religion), “It is apparent that religion can be seen as a theological, philosophical, anthropological, sociological, and psychological phenomenon of human kind. To limit religion to only one of these categories is to miss its multifaceted nature and lose out on the complete definition.” Jones definition clearly being a more complex one, suits my personal ideas of religion. A “phenomenon of human kind” which only exists to further divide our global population into sectors that have indefinitely branched from one another, to define our purpose in life. I would like to state that if I had to choose a religious denomination I would categorize myself as an atheist, for I do believe that “God” (when defined as the Supreme being, creator and ruler of all) is a human-made construct. Thus, I am aware that religious ideas and believes are made up of layers after layers of tradition, philosophical, sociological and anthropological values, therefore, I attempt to understand them (from an analytical/academic perspective). When reading the various world religions profiles on BBC news I realized that they are all not so different from each other. Lets take Christianity and Islam, the two with the most followers in the world, both are monotheistic religions that have existed for thousands of years, are based on a holy book and teachings of God’s prophets. Christian believes can also be found in Santeria, which borrows some religious sense from Christian practices. Like Santeria, Rastafarians worship in ways that are somewhat uncommon, for instance, Rastafairians smoke marijuana to enhance their spiritual connection with their God, meanwhile Santerians sacrifice animals for their God. Both marihuana and animal scarification are illegal in the United States. These are only a few of the multiple comparisons that can be drawn along multiple religious practices and believes. They are all so similar and yet so different. 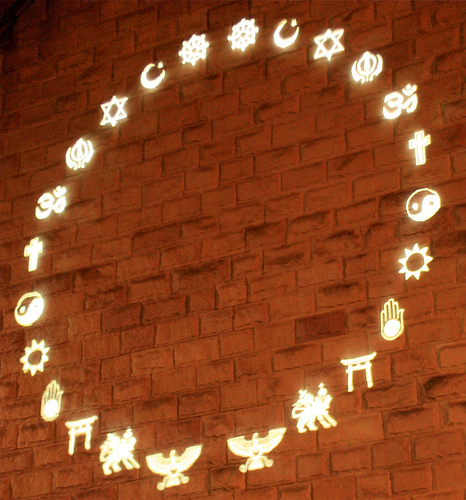 Sometimes, I wish we could break through religious barriers, bring down the walls of churches and temples and unite everyone under one roof of religious acceptance (not fake tolerance). Maybe if we start by deconstructing gender norms and stop dressing our children in either blue or pink when they are born, then that could be the first step towards deconstructing a religiously segregated world. After all, various religions still evoke a gender hierarchy in their practices, such as Christianity, Hinduism, Judaism and Islam are four religions which are obviously male-oriented. 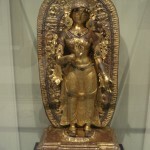 For example: In Christianity women are not allowed to become priests (a position of respect and religious power within the church), in Hinduism women are not allowed to become either monks nor Guru’s (leaders of the spiritual community) and in Rastafari women have an entirely different code of religion. For now, gender will continue to be a category that further separates us, physically, socially and within religions. …we can’t all just get along. Globally, we have divided ourselves, and we are all too deep in it. BBC features nineteen different religions on their “Religion and Ethics” site, which one defines you? Which one have you chosen to be the one that separates you from everyone else, from all of the others? Why can’t we all just get along? We’re all just humans. My high school was a very small all girls, Catholic, private school in the outskirts of Boston. When most people hear this they imagine a few things: uniforms (which we didn’t have), nuns roaming around the halls (which we didn’t have), and very strict Catholic religion classes (which we also didn’t have). It is the last of those things that I am most proud of, at my school I was fortunate to study all different religions during my time and my senior year I was exposed briefly to Buddhism, Islam, and Hinduism. This being said, I had previously visited a Hindu temple and experienced the lives of those Hindus living and adapting to life in Central Massachusetts. I assumed that my visits to the Hindu temple and the Sikh gurdwara would be easy, peaceful, and educational as other locations that I had visited, however I was surprised when both of these visits took a different turn for me. We visited the Sikh gurdwara first, before our journey I investigated the BBC religion site to learn some of the basics of the Sikh religion. Learning that Sikhism was a practice where its worshipers were completely and totally devote to one God. They believe everyone is equal to one God, and dedication to ones community is of the utmost importance. The man who took us around the temple was just a local from the community rather than a trained tour guide. For me this was a valuable experience because instead of just learning about Sikhism from a book we were getting an inside perspective of the religion. His opinions, feelings, fears, and love of this one belief. He discussed his community, and the special place the Sikh temple holds in the community. They were very open and receptive to us coming in and appreciated our interest. There aren’t many Sikh gurdwaras outside of India, and so making a place outside of India will take some time, and open minds. Going to the Hindu temple I expected a similar experience to visiting the Sikh gurdwara or the Hindu temple I visited three years ago in Massachusetts, however I was shocked by what I saw instead. Walking through the London neighborhood not knowing exaclty what to expect I almost stopped short when I saw the enormous temple rising above eyesight. We put our bags in security, walked through a metal detector, and then met up with an official temple tour guide. There were so many people in the area, old and young, Hindus and visitors– it was a strange discovery. And then walking around and listening to the guide talk about all of the large Hindu temples around the world and seeing all of the famous visitors I realized that Hinduism is really beginning to be a major player in worldwide religions, especially in London. I felt that the Hindu temple I visited before was in a place where they were struggling to find their place. I did not feel like it was as much as an issue here. I don’t mean to sound cynical, but with so much funding and exposure to me this community is widely accepted in London society. Some may argue with me, that the Sikh temple we visited also received large sums of money, but from my own personal eye I felt that this community was not as acclimated to society as the Hindus. Both are religions that initially came from India. Sikhism is more surrounded around communal prayer, and Hinduism around individual prayer. Although similar , they are also very different, and I think these differences may play a factor in how they fit in with London society. Both religions came to London relatively around the same time, Hinduism may have more followers which is why I feel it fits in with society better, but I don’t think I’ll ever truly know. I’m also fairly certain my opinion on this matter could change from day to day as I am exposed more to these two religions, but this is what I thinking/feeling now after much contemplation and a little research on the BBC website. Going into the trip at the Sikh Gurdwara last Thursday I was unsure of what to expect. By the time I came out I felt very positive about the experience. Things could not have been more different for me at the Hindu Mandir. From the moment I saw the Temple and noticed that there were security guards in front I had an odd feeling. This did not go away. After depositing my bag and all my valuables in the security trailer across the street I made my way into the Mandir. After depositing my shoes in a rack similar to the Gurdwara our tour guide began speaking with us about the Hindu religion. After a quick introduction he began immediately by praising Hinduism and the Mandir pointing out the intricacies of the building including the ceiling which is made from a special wood found in Burma. Unlike Mr. Singh at the Gurdwara who was dressed in traditional Sikh prayer garb our guide at the Mandir was dressed in western attire with a button-up collared shirt and slacks. After walking through the humungous prayer room my hypothesis that Hinduism and Sikhism should be polarized with one another seemed pretty accurate. The prayer room featured one giant ornate rug that covered the majority of the room. On the walls there were giant portraits depicting the past four Spiritual Guru’s of the Swaminarayan Faith and lifesize statues of each. The prayer room also featured two giant projectors in the front of the room so those that are praying in the back of the room can get a phenomenal view of the front stage. In addition there were skylights located in the center of the hall that could be opened or closed at any time. After hearing about the prayer room we crossed over to the other side of the Mandir where we entered an exhibit explaining the ins and outs of Hinduism. Although our guide said that the Mandir served a multi-purpose role not only as a place for people to pray but also a place where people can learn, I was still a little disconcerted by the presence of a museum in the middle of a place of worship. While waiting to enter the exhibit the class looked at a wall outside that featured pictures of all the famous world politicians that had come and visited in the past. The wall also featured certificates and awards that the Mandir had won. “It is already becoming clear that a chapter which had a Western beginning will have to have an Indian ending if it is not to end the self-destruction of the human race…At this supremely dangerous moment in history, the only way of salvation for mankind is the Indian way” – Dr. Arnold Toynbee (British Historian. 1889-1975). Other parts of the exhibit not so diplomatically claimed that the Hindu’s invented the concept of zero and created the first university over 2,700 years ago. Everything seemed glorified and most definitely biased. Although I expect every museum to have some sort of bias I did not expect it to be as brutally obvious as the Mandir made it seem. To sum up my experiences at the Sikh Gurdwara and the Hindu Mandir it is safe to say that they were vastly different from one another. Since Hinduism is the oldest living religion in the world it makes sense for them to refer to many of their ways as “Indian”. Despite this fact I couldn’t help but notice that Sikh’s were being excluded when these descriptions were being made. 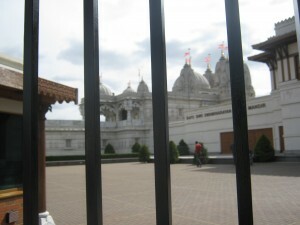 The best way to describe the Hindu religion and the Baps Shri Swaminarayan Mandir is immodest. Everything both in and outside was big, new and technologically driven. Even when our class had an opportunity to participate in a traditional Hindu prayer I found it hard to concentrate because there were security guards standing around the premises. Although the Sikh Gurdwara was certainly big and looked fairly new the message preached inside was of simplicity, the polar opposite of what I sensed at the Mandir. Although I still did not feel entirely comfortable paying my respects to the guru at the Gurdwara I felt that had I participated in prayer I could have felt at peace. Even something as small as just sitting down to a meal together was significant to me. Especially since every single Gurdwara serves the same meal to every single person everywhere. To me this example completely JUXTAPOSES the Hindu tradition of hierarchy rooted in their caste system. Since Sikhism is a fairly new religion and has not fully been recognized by much of the world there are bound to be some bumps in the road but it seems to me that part of the reason Sikhism was founded in India was to rebel against the values of Hinduism. As far as where I see these two religions going within Great Britain it is hard to say. Both Southall and Neasden seemed to be pretty homogeneous communities with mostly people of Indian descent in both regions. Because of this I think that both the Hindu and Sikh religions will have their place within London, at least for a while. Using the example of Mrs. Suri in Tarquin Hall’s Salaam Brick Lane it seems that the Indian community remains tightly knit regardless of where members of the community immigrate to. The Indian community itself traditionally churns out millions of educated “youngsters” every year many of which go on to hold prominent positions in a variety of fields including business, law and medicine. Because of this the Indian community as a whole is in no danger of disintegrating anytime soon. As Mr. Singh told us at the Gurdwara he wishes that a day will come when he can go to the security check point at an airport and the security guard will know that he is a Sikh, therefore a peaceful man, and let him pass without any hassle. Due to the fact that Sikhism is such a young and upcoming religion (according to the BBC there are 336,000 Sikhs currently living in Britain) one can only hope that over time and with more exposure in the U.K. people will come to understand it better and the Sikh’s will find their place here in London. The only obstacle I see Sikh’s facing is their ability to blend in to the professional work force here in London. Some businesses may require that men shave off their facial hair in an attempt to look more like the typical British professional. As a Sikh one would have to ask himself how much that part of his religion means to him and whether he feels like he is sacrificing anything by shaving. If the answer is that the Sikh feels like he is sacrificing something than it will be difficult to predict what will happen. With Hinduism being the world’s oldest living religion it is clear that Hindu’s have managed to traverse many obstacles throughout the years. In addition, they have completely modernized their religion to fit 21st century standards. Although I did not enjoy my experience at the Mandir all that much I have to admit there is certainly a rare brilliance and resilience that comes with being a Hindu. With some of the world’s smartest, most self-motivated and disciplined individuals running the show Hinduism is not going anywhere in London or in the U.K. In fact I see it growing steadily, especially with all the adaptations Hindus have made to fit the times. What I have gathered from visiting both the Hindu temple and the Sikh gudwara is that Sikhism is all about the equality of people from all classes, races, genders, and backgrounds, while Hinduism is founded on the idea of the jati, or caste system. Also, in the practice of the Sikh faith there are very little rituals and very few gaudy symbols, while Hindus use numerous rituals and symbols in their worshiping practices. In most ways it is more difficult for Sikhs to adjust into British culture than it is for Hindus. With their five Ks, or the five physical symbols that Sikhs have to symbolize their faith, the Sikhs stand out a lot more than the Hindus. Since 9/11 and 7/7 there has been a lot of hostility toward South Asian individuals who wear turbans and have long beards, since then ignorant individuals have tormented Sikhs because they associate them with terrorist activities. Also, some work places do not permit their employees to have unshaven faces and uncut hair. Living in England also forces the Sikhs into a unequal class society that is not compatible with the Sikh’s belief in equality. Hindus have an easier time adjusting to the British culture because they do not have any spacific visual keys to thier religion that could create a social backlash or hostility. They also have a strong understanding of the British class devisions because of their understanding of their own caste system. However, the fact that Hinduism is a polythisit religion might create some agressive actions from the primarily Christian British society. So, since we’ve all been given the post topic, I feel as though I don’t need to go into the simplistic description of our travels. We saw Sikh and Hindu places of prayer. They were both gorgeous. What is their differences and how are they reflective of the two cultures attempts to integrate into British culture? Looking at the Sikhs, I would say they were looking for acceptance, where as the Hindu guide was trying much more to impress. Both are devices used to gain positioning within a society. I distinctly remember our Sikh guide saying something along these lines: I hope one day people will not stop us at the air port, rather they will say ‘oh hey, he’s a Sikh, he’s ok.’ Sikhism in general is a younger religion than Judeo-Christian faiths and Hinduism. With this, it is often forced out of public eye and understanding. For this reason, they are often left to get whatever cultural capital charity they are able to get. the Naara Mandir was also looking for a piece of the British-cultural pie, but they have gone about attaining it in a very different way, despite the fact that they came to England initially around the same time. Almost like the girl who punches you when she likes you, the temple seemed to me to be attempting to out do British structures in order to gain their respect. If I heard another comment about Italian marble or how amazing the whole thing was, I may have just laughed. Further, I thought the way that the temple was presenting Hinduism was simply a way to cater towards Judeo-Christian understanding. Hinduism comes from Vedic traditions, and by nature is not a singular religion. While they are all relatively accepting of each other, there are many distinct traditions far beyond what the Mandir was expressing. Possibly too bold: the Sikh’s looked to intergrate through submission (BBC mentions cutting their hair, putting down their sabers) while the Hindus looked to intergrate without compromise. Strangely enough, it has worked for the Hindus. Overall they have gained respect much more far reaching than that of the Sikh. The few other Hindu temples I have been to have been quite a bit less opulent. 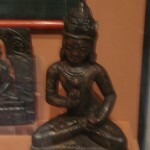 This may simply be because of the focal-point nature of the Mandir. Ali and I both went to a small Hindu farm where monks lived and worked together to live and pray. At the farm, the only sign of riches at all was a small pillar filled with donated trinkets. And even then the trinkets were out of sight. The one thing I noticed about both religious groups, Sikh and Hinduism, is that have both been greatly affected by globalization (not necessarily from an English influence). Comparing the Mandir to an Indian village, where there may only be one TV for the whole community, is quite startling. Also, the concept of a global leader is also a fair new concept– relative to the existence of Hinduism that is. But I think the world requires that of religions these days; the Other needs a Dahlia Lama or Pope. The Other needs a hierarchy to categorize and compartmentalize. Even the name Hinduism, is silly. Hinduism was the name given to the people of the river valley, an umbrella term that described hundreds of tribalistic beliefs. Onto the articles… Sikh’s using the Internet to find mates makes perfect sense. What better way to cut away the physical attraction than through having emailing dates. You get all the perks of talking to someone and learning about them, without the issues of false attraction and dating. The concept of sexual abuse in a religion preaching sexual suppression is not unimaginable. Look at Rumspringa in the Amish community. When you push and ignore any aspect of a person’s psyche, it just enforces a person’s need to let it out. Why do Amish kids go out and drag race, do coke and who know what else? I would wager it is because they know they can’t otherwise. In many conservative religions, people are more likely to go to extreme sexual lengths when they do actually go about having sexual experiences.